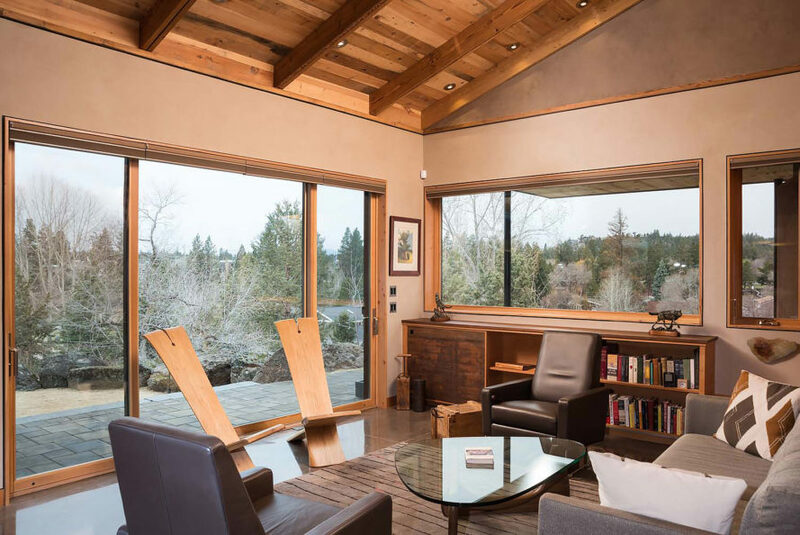 There’s a new contender for the world’s greenest home: Desert Rain House in Bend, Oregon. Designed by Tozer Design, the LEED Platinum home recycles all its water, produces more power than it can use, and it is the first residential compound to be certified by the Living Building Challenge. Solar panels and a rainwater collection cistern help this super green home pioneer a new paradigm for sustainable family living. The five-building Desert Rain House boasts seriously environmentally friendly features. Human waste is composted thanks to a central composting system, and greywater is reused for irrigation via a constructed wetland. 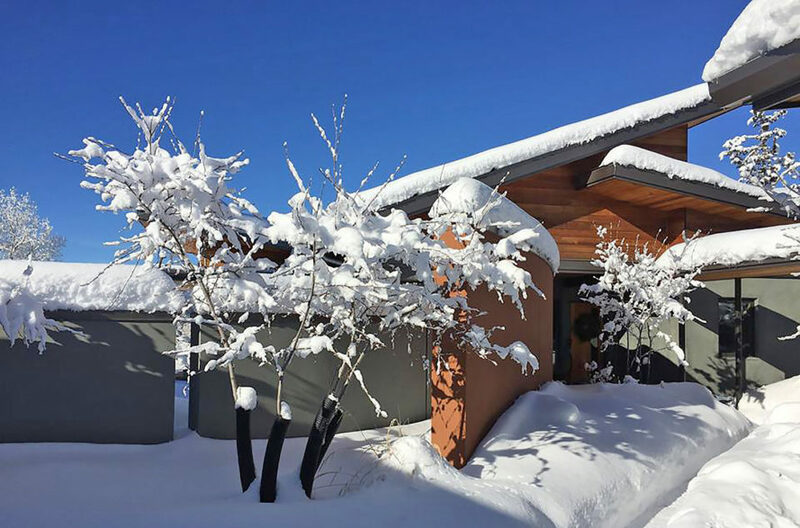 Natural and local materials comprise the elegant dwellings; reclaimed lumber and plaster made with local clay, sand, and straw are among the sustainable building materials utilized. Materials from old buildings that once occupied the site were repurposed for Desert Rain House, such as old stone salvaged from old foundations and used in concrete for patios. The team that built the home looked for ways to reduce their carbon footprint as much as possible. For example, instead of having a manufacturer ship them roofing panels, the team assembled roofing onsite from a large roll of steel. Red List-compliant sealants and finishes also make for a non-toxic environment. Indoors the air is clear: not only can the owners open large windows for air circulation, but a waste heat-capturing energy recovery ventilator also means fresh air continually wafts through the main residence. 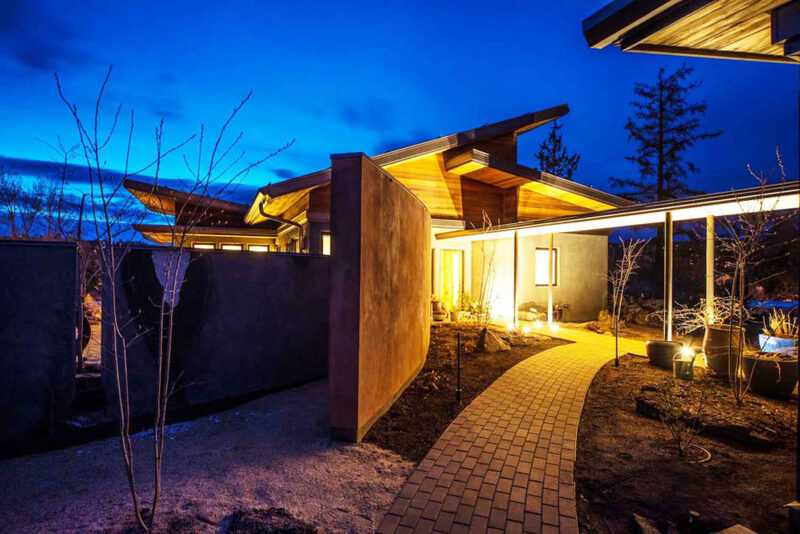 There's a new contender for the world's greenest home: Desert Rain House in Bend, Oregon. Designed by Tozer Design, the LEED Platinum home recycles all its water, produces more power than it can use, and it is the first residential compound to be certified by the Living Building Challenge. Solar panels and a rainwater collection cistern help this super green home pioneer a new paradigm for sustainable family living. The team that built the home looked for ways to reduce their carbon footprint as much as possible. 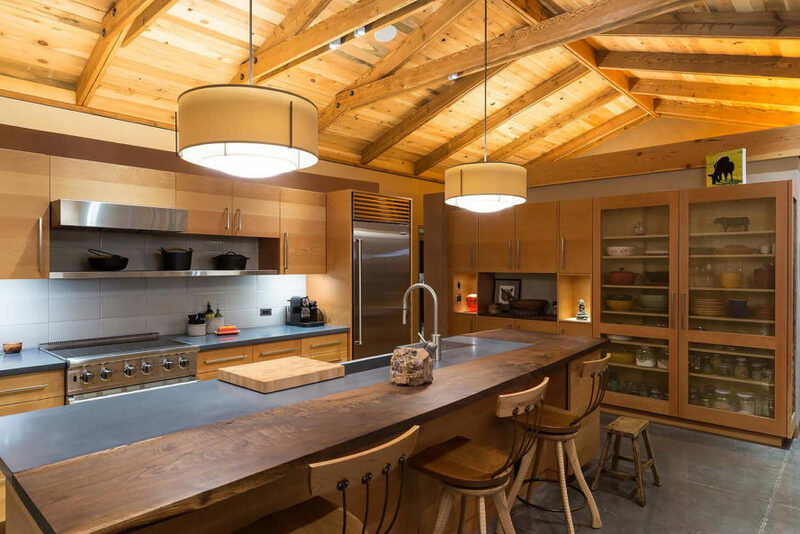 Reclaimed lumber and plaster made with local clay, sand, and straw are among the sustainable materials utilized. Clean air filters through the home thanks to open windows and an energy recovery ventilator. Materials from old buildings that once rested on the site were repurposed for Desert Rain House. Three homes and two out-buildings in Desert Rain House add up to 4,810 square feet. The LEED Platinum home stretches across 0.7 acres. The Desert Rain House is built with natural or local materials. Solar panels power Desert Rain House.